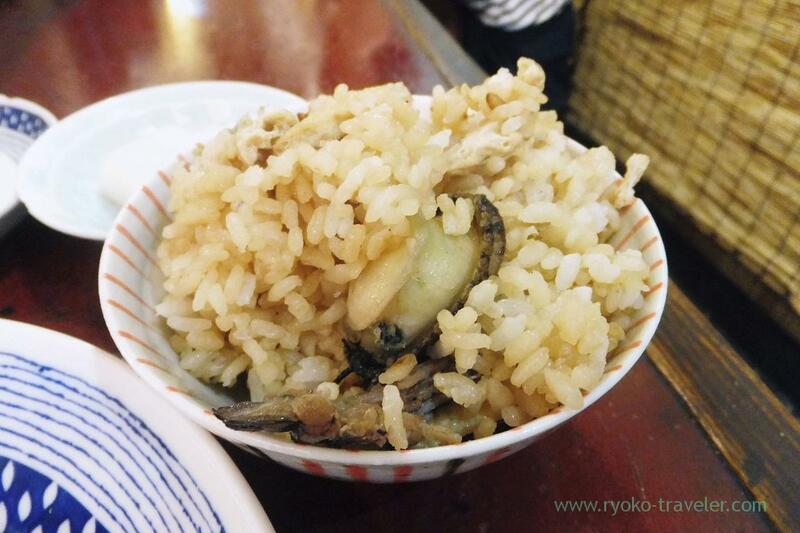 Yonehana’s chef’s choice was changeable. 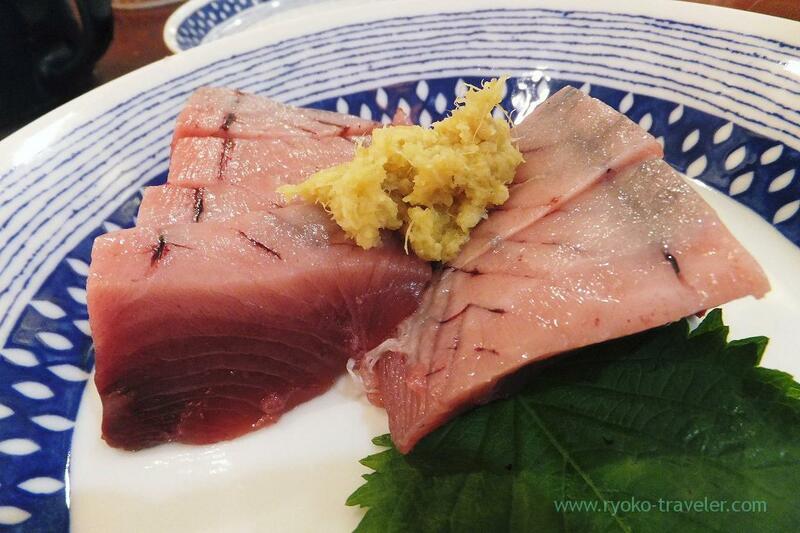 Though I wanted to go Tsukiji this Monday, I couldn’t wake up. But I managed to get up early the next day and went to Tsukiji. Tsukiji was not crowded that day. When I got to Tsukijishijo station, there were few people getting off the station. And also there were not many people in the market. And unexpectedly Tenfusa had much guests. There were about 10 people waiting in front of the entrance. 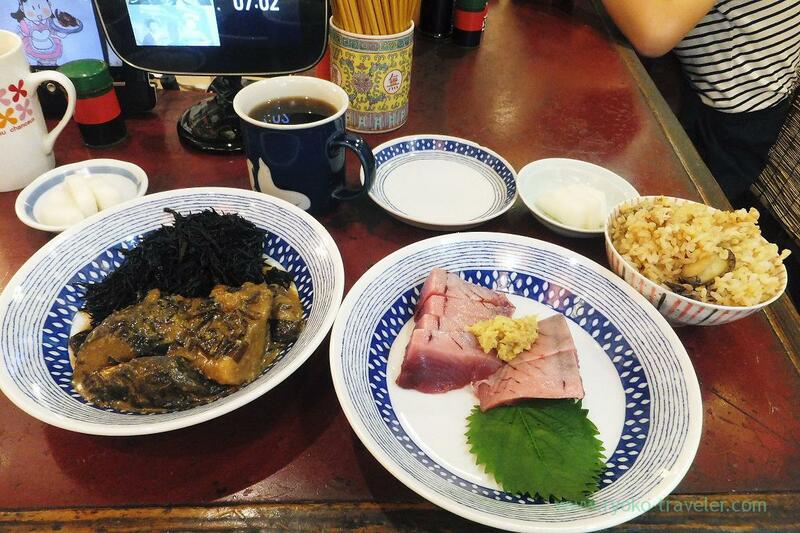 I had breakfast at Yonehana. To tell the truth, I intended to go to Yajima. But I knew that day’s chef’s choice of Yonehana was grilled sablefish with Saikyo miso on twitter. Half of the seats were vacant. Well, after a while, my chef’s choice was served. Woow ! Sashimi ! Bonito sashimi ! Eh, where’s my Saikyo-yaki ? And, I had a plan to have sashimi bowl at Hajime Sengyo-ten or sushi at Motodane as lunch. So, I had to do a little considering. 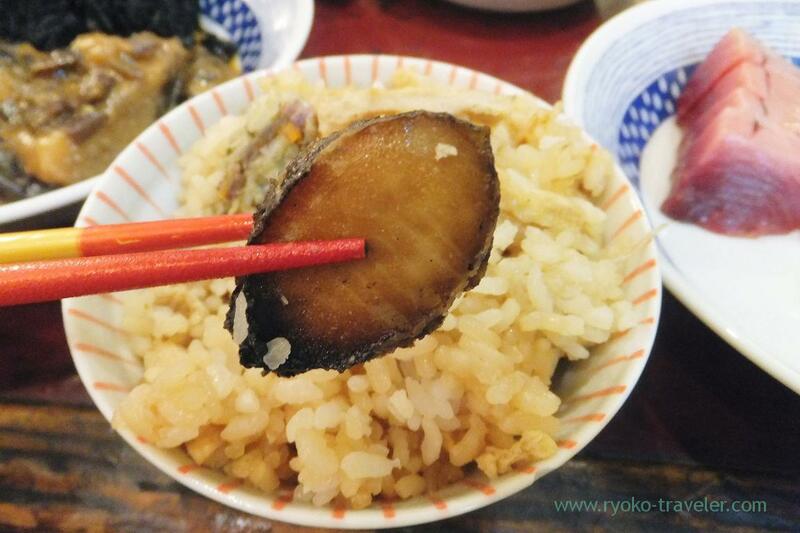 I couldn’t find the taste of Matsutake mushroom because there were many ingredients like abalone and giant clam. By the way, miso soup with shrimp was included in the chef’s choice, but it wasn’t served. Maybe, the waiter forgot it. I intended to ask about it later, but it was hard for me to eat it up. 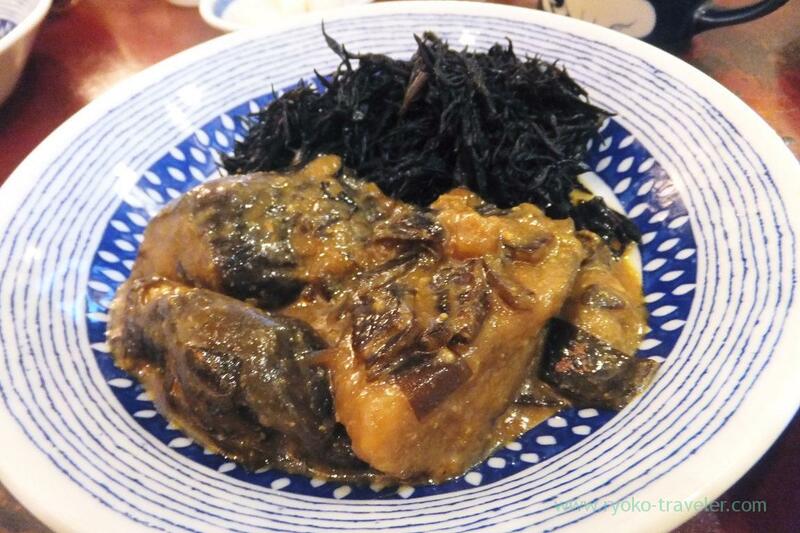 Boiled hijiki seaweed and boiled eggplants with peanuts and miso sauce. I ate the miso soup before. So, there’s no problem.